Budgeting is a fundamental practice which shouldn’t be overlooked. Whether you and your business outline budgets for expenditure, training employee’s or whether you want to set budgets for each department. Sage Financials has the tools to make your business budgeting a lot simpler and more efficient. Budgets are calculations of expected revenues and expenses over a set period of time. They are used by management to help make wiser spending decisions. They can also help to keep costs down as managers can see how a companies resources will be used. Budgets are calculated initially and re-evaluated periodically. They will be analysed alongside actual costings to identify differences between the two. These differences are known as variances. A favourable variance occurs when the actual costings are lower than the budgeted cost for a particular budget. In Sage Financials, you have the ability to record budgets in your system through journals. You can enter these in manually, or you can import them from an excel file. This saves you having to fill out the individual fields for each journal and line item. Another great budgeting feature Sage Financials has to offer is within it’s reporting capabilities. Sage Financials offers several out of the box budget reports, as well as the ability to create your own custom ones. Keep reading to find out more about Budget Reporting in Sage Financials! To create a budget journal manually, navigate to Other Transactions and select either Budget Expenses or Budget Revenue. From there you will need to click New. A pop-up window will appear for you to enter all of your budget information such as Name, Date, Amount, etc. You can also tag a Department to a specific journal to benefit your reporting. This is an optional field but can be made mandatory by amending the associated posting rules. Did you know: As the Department field sits on the Header you would need to create a separate journal for each Department. If this isn’t your preference you could amend the Posting Rules to show the Department on the lines of the journal instead. *Hint: You can set a currency exchange rate for your journal. This will override any currency exchange rate set up in your system for this particular journal. Once you have created your journal you can add items to it. To do this, click into the Journal you have created, and select New in the top left corner. Once you have created your budget journal and added all of the necessary lines you can post it by selecting Post. If you have a lot of journals and items to enter and don’t want to spend time doing this manually, you can import them instead. To import your budget journals you can navigate to the Other Transactions tab and select either Budget Expenses or Budget Revenue, whichever you wish to import. You should then click the Import button which will trigger a pop-up wizard to appear. Use the drop-down menu to select the feed you wish to use for your import. Select Choose File to find the file on your computer, select Upload CSV and then select Import CSV. *Hint: Your import file format should always be CSV (Comma Delimited). Check for rogue commas in the file too to make sure your file imports easily! When you import journals they will appear in your system in an unposted state. Once you have checked that the import has worked successfully and all of the required information has pulled through you can then proceed with posting the journals manually. We do have example templates for Budget Expense and Budget Revenue journal imports to get you started. These are configured to the out of the box feeds that come with Sage Financials, you may need to amend these templates slightly if you are using a custom feed. Contact the support team for these template files or reach out to your Sage Financials Customer Success Coach. Having the ability to effectively analyse your budgets is the primary reason you record and track them. Sage Financials recognises this and offers exceptional reporting capabilities to assist you in your analysis. Sage Financials has an architecture built up of different layers. These layers allow individual segments of information to be recorded within them. Without this, having an unwanted effect on any other data held within a different layer. You can report on different layers. For example, you could run a report which measures your Actual Revenue against your Budget Revenue. Your Sage Financials software will use the data stored on the Actual layer and the Budget Layer to make a comparison for better analysis. To view the reports that come out of the box with Sage Financials, navigate to the Financial Reports tab and select the list view Budget Reports. 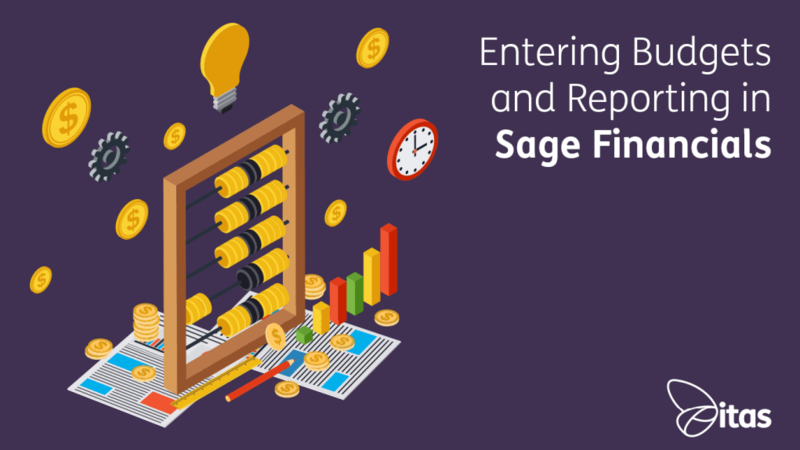 I hope this blog has given you an insight into what Sage Financials has to offer for your budgeting needs. 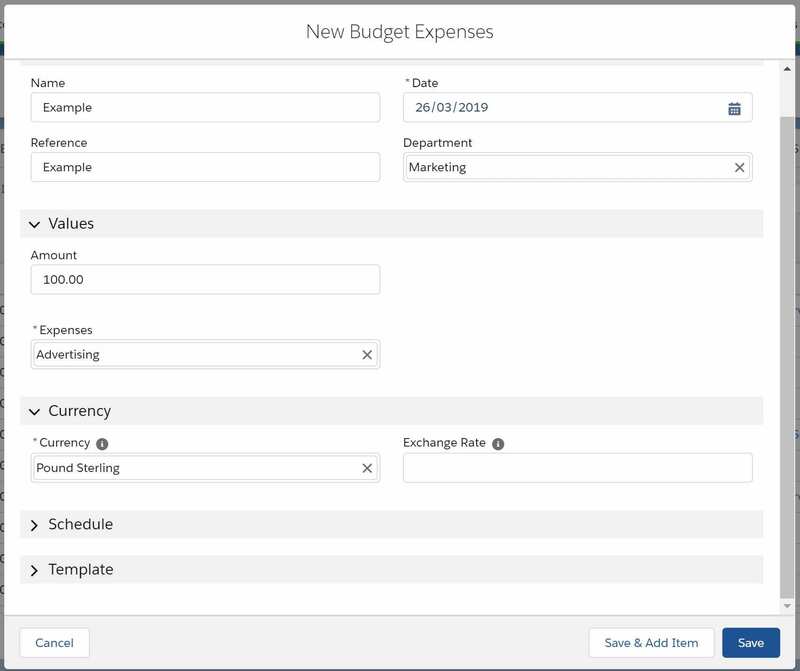 The budgeting capability within Sage Financials is an exciting feature, designed to save you time to focus on what is most important within your business. If you would like any further information on how budget journals work in Sage Financials we would love to hear from you, please feel free to get in touch.